Welcome to Recharge Gaming League or RGL. We're incredibly excited to finally be able to bring this league online. It’s something that we've been thinking about for a while and decided to follow through with. In our first “pilot” season, we will be focusing on a brand new game format that has never been played in any major way in tf2. It’s called Pick/Ban Prolander. Each team will have seven players on it and you can only have one of each class. This means that at any given time you’ll see a majority of the classes in tf2 actually be represented. On top of this, the league will also use a pick/ban site (currently in development) which will allow leaders to be able to further make each game unique from the last. This is virtually the same format that was used during the Challenge Cup, which was a tournament I ran this past fall. If you want see what it looks like, here’s a VOD from the Grand Finals of that tournament. RGL itself is broken into two different league types. We have the Recreational League and the Competitive League. The recreational league is a great place to start if you’ve never played competitive tf2, or if you're not super competitive about it. We’ve kept the cost of this league very low, only $3 for the entire season per player. Plus each team in the recreational league will be given a server, for free! Not just a server for the match day, but they’ll “own” it for the entire duration the rec league. The recreational league will last for 5 weeks and will have up to 3 weeks of playoffs. Every team will have at least one playoff game. The best part of the rec league is that if you don’t have a group of friends who play tf2 in which you can form into a team, that's totally okay because we can find a team for you. We’ve created a Solo Queue league where you can sign up by yourself or with up to two friends and we’ll place you on a team for the season. We’ll also keep the divisions separate, so you only play against Solo Queue teams. Again this is only $3 and like the team division, you’ll be given a server for the duration of the rec league. 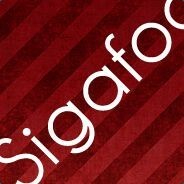 This is a league for players who’ve already been playing competitive tf2. It’s broken into two different divisions. This is for the top level teams in tf2 to duke it out to and be crown the champion of season one. Matches from this division will be casted on eXtv. Skill level suggested is: UGC - Plat and High Gold, ESEA - Invite and IM. Estimated first place prize of $1,500. This is for teams who have that competitive edge, but maybe aren’t at the top of the game. We might have some of the matches casted from this division, though that is still in the works. The prizepool will not be as heavily weighted towards the top. Estimated first place prize of $350. Other important things to about this league is that we want to hold RGL’s community to a higher standard. We believe that even in e-sports you can have a healthy balance between competition and community. You can read more about that in the sites Mission Statement. Registration is open now. You must have a full roster (seven players) paid by June 9th in order to be in the league. Solo Queue registrations must be completed/paid by June 5th. If you have any questions / errors / issues / etc… Do not hesitate to reach out to us at RGL and we will do our best to help you. Thank you and have a great season!